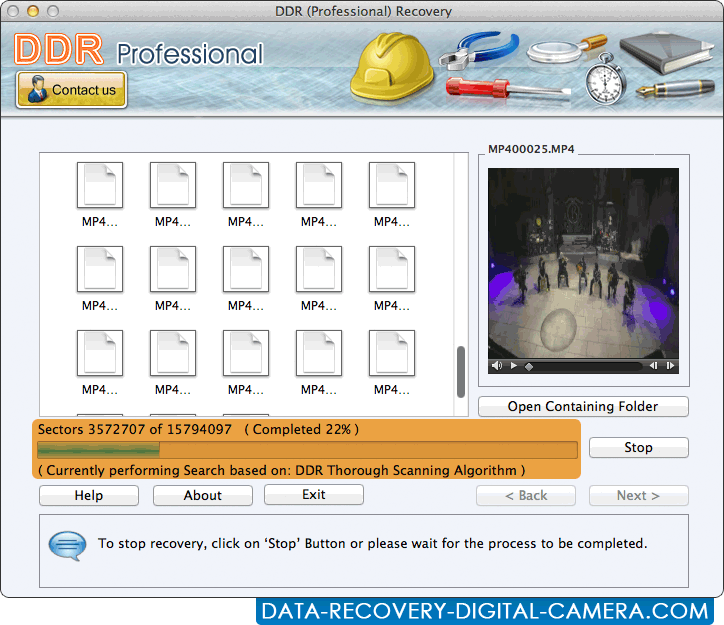 Enable “Sector Range” to search lost data within specific range of sector and you can also change the range of sectors for recovery by moving the knob of slider. Browse path to save recovered data. 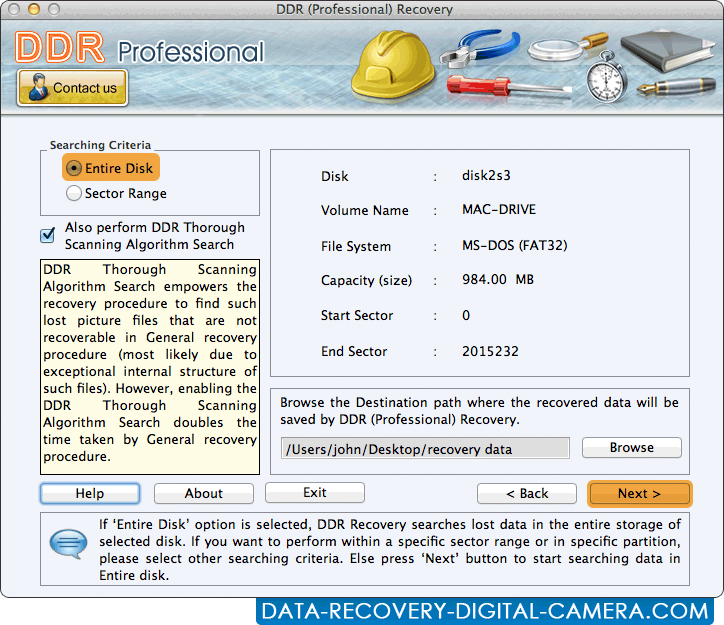 Display completed percentage of disk search process.